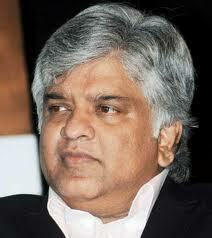 Parliamentarian Arjuna Ranatunga has resigned from the Democratic Party, led by Sarath Fonseka today. Meanwhile Tiran Alles also confirmed that he tendered his resignation as the secretary of the party in September. Speaking to Daily Mirror online MP Arjuna Ranathunga who was the Deputy Leader of the party said that he will continue to be a member of the Democratic National Alliance- and function as an MP of the party. “I’ve resigned only from the Democratic Party and not from the DNA. I have always been a supporter of a common opposition and this doesn’t seem feasible with the way things are working” he said. When queried as to the reason behind the resignation Ranathunga reiterated his stance of a common opposition and the failure of the Democratic Party to lead the formation of it. “There is no point continuing to work because there seems to be no comprehensive plan or intention to rally all forces against this regime. I have always been of the belief that the UNP, JVP and all other parties should come under one platform and I don’t see any point in having a couple of UNPers joining us, when the calling is for a much wider and comprehensive platform” he said. Meanwhile MP Tiran Alles said that the speculation in September regarding his resignation from the post of secretary was true. As H.E the President very correctly said, Mr. Sarath Fonseka will have Anoma and his family members only at the end. JVP and UNP ruined his glorious military carrier. Captain KuCool abandons the sinking ship. What a captain. And those jokers wanted us to make him the President. The fault of bringing celebrities into politics which made preferential vote a mockery otherwise it would have been a strength to inner party democracy or primary! We can't fix minimum qualification for a voter and a politician, that is the minefield of democracy, sadly we don't have an alternative to errant democracy, chaos! How many will be left with the party now. True colors of a man can see after some time. Now all the main partners has abandon him. Join the govt. it's great and do not support any party who are with international fora and if their govt, installed even by an accident LTTE will re-emerge. solidier without an army. freind in need is freind indeed. You are correct Mr Arjuna. Now, its high time to go and jack the hand to strengthen it! How are Paba and Anarkali? hello there chubby i hope YOU of all people are NOT going to rejoin the govt. SF's plans for anti corruption and law abiding society is good. But he cannot do it alone. Even if he joins UNP he cannot do it because majorty of even UNPers are corrupted people. Arjuna is right... Only solution is Rally around Ranil and make a big impact to remove this regime if you really love mother lanka ! Time for educated, intelligent people to take over politics, like in Western countries. Retired cricketers, ex-military men, aged and young actors should be told to find other jobs. Anyway you were behind SF when he was in trouble.Good luck ! But don't join the government at any cost. No doubt he was a good cricketer, talking about politics and Poor Kalutara Ditrict's People here. Sarath Fonseka, Arjuna and Tilan should join the UNP for the betterment of the country. the question is will the people of this country vote for a educated and intelligent person? Exactly. SF should understand that he himself is an infant in the political field and Ranil is a clean person and a National Leader. WE WILL STAND WITH YOU GENERAL SARATH FONSEKA YOU HAVE THE BLESSING OF THE ALMIGHTY GOD TO LEAD SRI LANKA TO FUTURE OF BLESSINGS. People who voted this kind of people are fools and idiots. They come from nowhere and get elected. Nothin has been done to area/people where he was elected. Its like telling MR won the war, vote him to power everytime contested, based on that victory alone. Will RW and MR allow ? Mr. Arjuna you got the better idea. SF is not the correct person , He will take our country to bad to worst situation, Please join hands with UNP and show your capability. If every party should come under one platform then who is going to be the Locomotive? Now SF is a lonely man deserted by everyone. Politics is not like waging war. As a war hero SF showed his bravery. But, to be a politician, he should know how to be flexible and accommodating. SF and AR are ok. But the other will not be anywhere near Ranil's honesty. Looks like Mr Fonseka is running a one man party. Man who abandoned the nation is being abandoned, and soon disappear to wilderness. Ranatunga is on the right track. S F must join the main stream of the opposition. Ranil has strategy but no guts. SF has guts but no strategy. Political field is more challenging than the battle field. Oh, SF we had high hopes on you. Whoever joins Ranil, It will not affect the result of next presidential election. MR knows how to get votes of villagers. They are not bothered about CJ impeachment , university strikes and share market. That's the bitter truth. All good cricketers won't become good politicians. He doesn’t know how the political pitch will behave and getting out cheaply every time. People are starting to realize that RW is the right person and UNP is the right opposition. The green party is the ideal choice to outcast this corrupt regime. Mr Arjuna, you are on the right track. join the UNP work for the betterment of the country. Dear SF, give up your ego, support the UNP otherwise you will be nowhere. Arjuna, you waste lots of time to realize this. U mean permanant oposition ? Arjuna did not come from nowhere. He is the captain who took Sri Lankan sports and cricket to the world and won. You now see how difficult it is to win a world cup even after coming to the finals. Arjuna did it. "Sarath' Don't go for politics it is a dirty " Didn't MR tell u this? You were a lion in the cricket field and brought glory to the country. Why are you chickening out now. Whom do you mean by WE ? I think I batted well but he didn't bowl well. Cricket and politics are two different things. We don't need experience in winning world cups to govern the country. We knew from the beginning that this will happen sooner or later. No one can work with SF.